One of Rita Barksdale's boyfriends, a skydiving instructor. He's mentioned in passing in "I Don't" as having been killed in a skydiving accident. 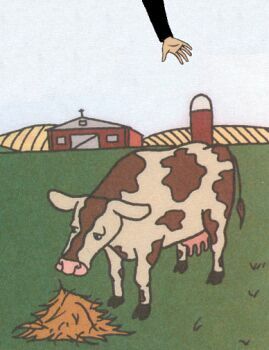 (He landed on a cow.) Nobody seems that bothered about being respectful to the dead man, with Daria and Amy Barksdale being happy to make light of it and Rita not bothering to be upset about it. Roger was the last boyfriend Rita had before Paul Meyerson: the MTV flipbook "It Takes Two to Tangle" claims she went out with the dull, pathetic Meyerson in reaction to the more adventurous Roger's death. Amy was last in contact with Rita when Roger was around but was unaware of what he looked like, as she mistakes Paul for Roger. Paul was unaware that Roger existed. This page was last edited on 27 September 2011, at 01:01.